This seminar was the first in a series of mental health seminars held in collaboration with South Staffordshire and Shropshire Foundation Trust (SSSFT) and iPCHS. 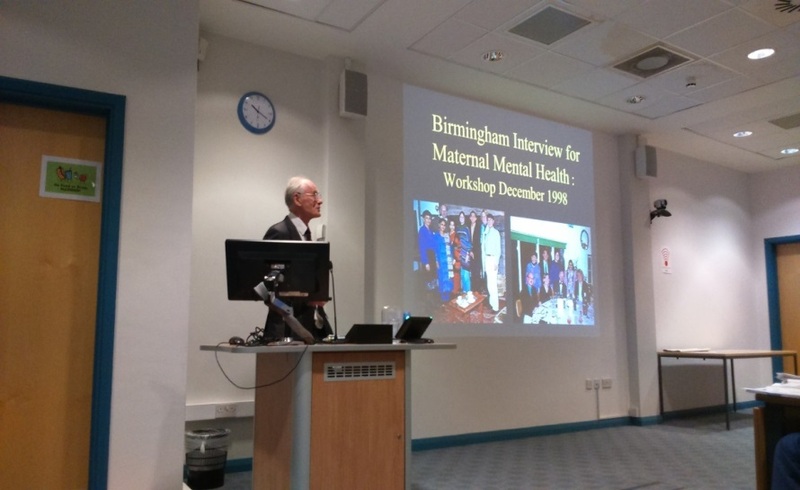 The first meeting on 6th May aimed to generate interest in perinatal mental health research and bring together clinicians, researchers and women affected by perinatal mental illness to develop collaborations and push forward perinatal mental health research in the West Midlands. 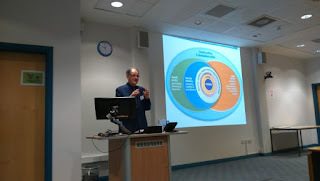 The sessions were chaired by Athula Sumathipala (Professor of Psychiatry, iPCHS and Consultant Psychiatrist, SSSFT) and Carolyn Chew-Graham (Professor of General Practice Research, Keele University). Guest speakers included international experts on perinatal mental health: John Cox (Professor Emeritus, Keele University) and Ian Brockington (Professor Emeritus, University of Birmingham) who spoke about their eminent work; Atif Rahman (Professor of Child Psychiatry, University of Liverpool) and Nusrat Hussain (Clinical Senior Lecturer, University of Manchester) presented research which focuses on evaluating new interventions for mental health in under-served groups. A selection of high quality posters were also displayed from University of Worcester, SSSFT, Staffordshire University, and Keele University. Over 40 people attended and contributed to discussion, both after presentations and during poster viewing. Feedback from the meeting was very positive with people showing passion for the topic and enthusiasm for future seminars. 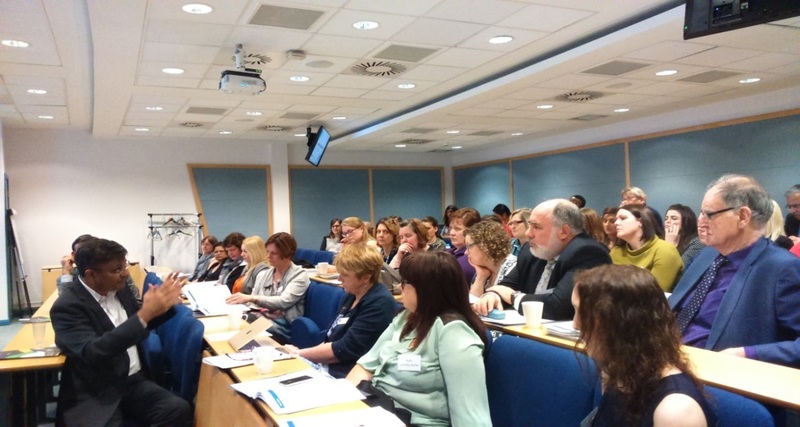 We look forward to the next event (November 2016), which focuses on the physical health of people with severe and enduring mental health problems, and will be chaired by Saeed Farooq.